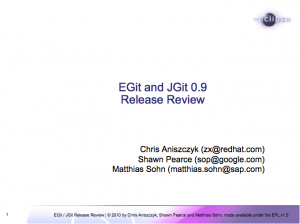 The EGit and JGit teams are proud to announce the availability of EGit and JGit 0.9 today. 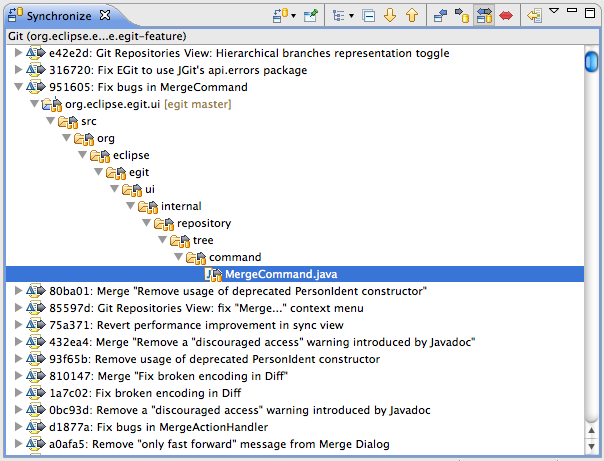 You can download via our p2 repository, Helios SR1 when it comes out or via the Eclipse Marketplace. 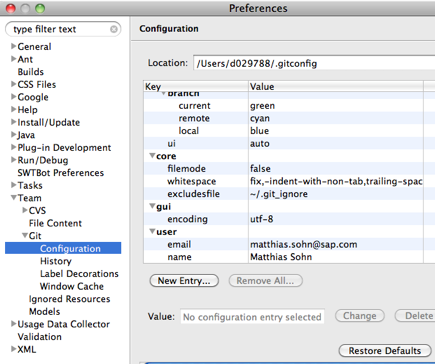 We’ll be releasing EGit and JGit 0.10 later this year to stay true to our relatively brief release schedule. The plan is to release 1.0 on time for the Indigo simultaneous release. Other than that, please enjoy the release and file any issues you come across. There are many ways to contribute, please check out our contributor guide for more information. 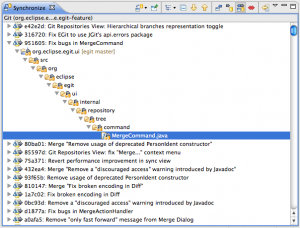 On a side note, if you want to show your support for the EGit and JGit teams, please consider on the Eclipse Marketplace.